There is no simple answer to that questions. 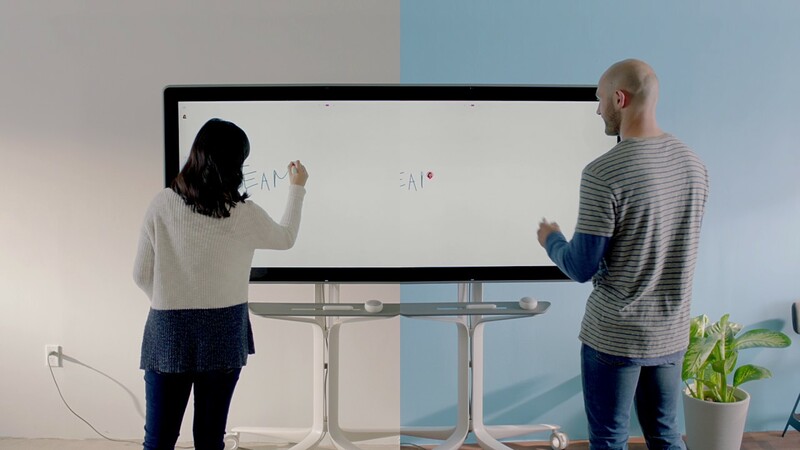 One of the most interesting new digital whiteboards is from Google. The Jamboard costs $4,999 (plus an optional stand that costs another $1,349), and there is a $600 annual fee. It is mostly for whiteboarding and does not currently support video calls. A key benefit, however, is once synced to your business Google account (known as G Suite), a remote user can participate in a whiteboarding session as though he or she were in the room. Another new model, called the Vibe Interactive Whiteboard, offers similar brainstorming features for drawing out ideas as a group but also works with apps like Skype for Business to hold a video conference call. The product ships in February and costs $2,499. Samsung Flip is a third option that has one unique feature. As the name implies, the digital whiteboard flips from horizontal to vertical. It costs $2,699 for the display plus $799 for the stand. The Flip has no annual fees. It can also connect to a laptop to show Skype chats. How Big are Interactive Whiteboards? Interactive Whiteboards come in a variety of sizes but generally range anywhere from 77″ through 100″. We install, mount, setup, move and disassemble Smartboards, Digital Whiteboards, projectors and screens of any major brand. Book an installation online for an installation tomorrow.